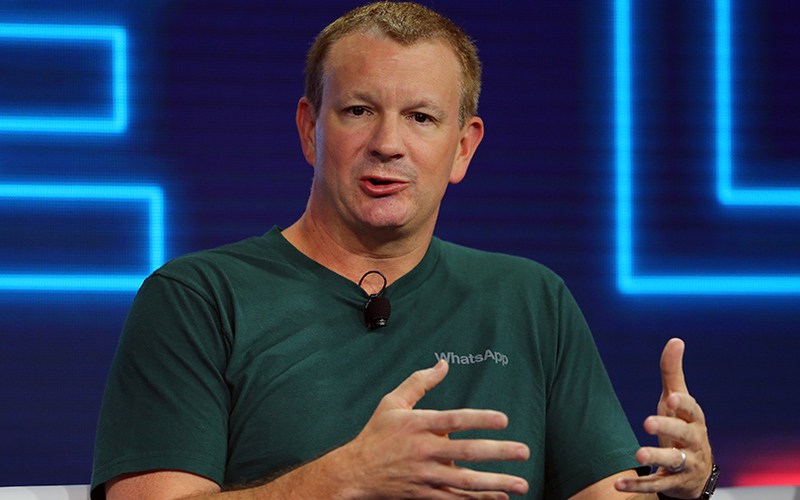 Brian Acton, co-founder of WhatsApp, now owned by Facebook Inc, will leave the messaging service company to start a new foundation, he said in a Facebook post on Tuesday. Acton spent eight years with WhatsApp, which Facebook bought in 2014 for $19 billion in cash and stock. A Stanford alumnus, Acton co-founded WhatsApp with Ukrainian immigrant Jan Koum in 2009. The duo worked at Yahoo before starting WhatsApp.